Continue our leadership role to maintain prohibition on Estate Tax in California. Split Roll is headed for the 2020 statewide ballot and rolling back of Proposition 13 continues to be a concern in California. FBA will fight against any proposal to negatively impact commercial property taxes. Continue to oppose efforts to enact a sales tax on business services. Regulatory and lawsuit relief continues to be a top priority for FBA members but regulations surrounding labor relations and human resource management provide additional challenges to our members. FBA will focus on opposing legislation and regulations that impact labor and our workforce and relief from PAGA lawsuits against family businesses. Workforce development and identifying a qualified and available source of labor is an increasing challenge. FBA will work to support workforce development opportunities that help provide a trained workforce. Publicize FBA policy, legislative and regulatory positions. FBA will work to achieve coverage of those positions and opinions in the news media. FBA will continue to explore opportunities to assist the transfer of ownership and property between family members and through successive generations and oppose efforts to make that more difficult. Sponsoring the 7th Annual Family Business Legislative Conference. Encouraging FBA members to call on their legislators and engage employees in both education and advocacy to illustrate the impacts state government has on family businesses and their employees. Participating in coalitions, public events, and hearings advancing the importance of the family business model and family business issues. Late in the evening on Sunday September 30, stakeholders, advocates, and constituents received the last email notification from Governor Jerry Brown providing a legislative update on the final bills to be signed or vetoed. In his four-term tenure as governor, he has signed over 20,000 bills into law, including 1,016 this year. This year he also vetoed 16.5 percent of bills that made it to his desk, which is consistent with similar percentages in the 15 other signing periods. Final outcomes for several bills that were a high priority for the Family Business Association at the end of this session are outlined below. In the final days of session Senator Galgiani introduced SCA 24, which would have limited the tax exclusion for the purchase or transfer of a principal residence from parents or grandparents to their children and would require the property to continue as a principal residence of the transferee. The measure would also have deleted the exemption on the first $1 million of the full cash value of all other real property (often a family business or farm), thereby requiring these properties to be reassessed upon a purchase or transfer. Families would have been forced to dissolve companies, lay off employees, or sell land in order to pay the substantial tax obligation under required by this bill, supplanting working capital to create jobs and allow business expansion. FBA immediately met with the senator, submitted our oppose letter and alerted the coalition we led last year on the estate tax. While FBA advocates were successful in holding this measure, we expect related efforts to continue next year under the new administration. Employers also escaped a few burdensome bills due to the Governor’s veto pen. Brown vetoed AB 1870 (Reyes) that would have extended the statute of limitations from one year to three years for all discrimination, harassment, and retaliation claims filed with the Department of Fair Employment and Housing. Brown also vetoed AB 3080 (Gonzalez-Fletcher), which would have prohibited arbitration and settlement agreements for labor and employment claims, creating significant litigation exposure and expense for employers and significantly delaying the resolution of disputes for employees. Both authors have vowed to reintroduce these efforts after the next administration take office. Of the bills signed into law, employers should be particularly aware of two. SB 1300 (Jackson) bans nondisclosure agreements in sexual harassment and assault disputes, a practice that was publicly scrutinized as tools of predator filmmaker Harvey Weinstein. And SB 1343 (Mitchell) reduces the sexual harassment training requirement threshold from employers with 50 or more employees to employers with just five or more employees, includes non-supervisorial employees in the training, and requires that the Department of Fair Employment and Housing develop an online training course and make it available on the Department’s Web site. The bill requires that all employers must provide training by January 1, 2020. In his 50-year career in politics, employers have come to know what to expect from Governor Brown, from the good (stabilizing the budget and workers compensation rates), to the bad (increasing labor and energy costs). We wish Jerry well as he rides off into the Colusa sunset — it’s truly the end of an era. Here’s hoping the next administration will be a golden era for California and not an error. In either instance, FBA will remain at the Capitol to serve you. Thank you for your membership. Click here for the most up to date FBA Priority Bill List (password required). Early in the morning of September 1, the 2018-19 legislative session was gaveled to a close. During the last month of session, the Legislature acted on over 1,000 measures, the majority of which made it to the Governor. All of the approved bills are on or heading to the Governor’s desk and he has until September 30 to sign or veto them. While Governor Brown is known for being fiscally moderate there could be some surprises this year given his lame-duck status. At the end of this signing session, the Governor will have acted upon a total of 1,217 Assembly and Senate bills for the 2018 year. There are 2,739 bills that are dead, having failed to meet their respective legislative deadlines or vote thresholds. A breakdown of key issue areas and legislation for the Family Business Association of California is provided below. The cost of energy in California remains a significant issue for businesses. However, California leaders maintain their enthusiasm over leading the world on greenhouse gas reduction legislation. FBA weighed in on several proposals and on the eve of the Governor’s Global Climate Summit he signed significant legislation. SB 100 (De Leon) requires California to obtain 100% of its power from zero greenhouse gas emission sources by 2045. The bill has been debated by lawmakers for nearly two years as it faced cost and feasibility concerns. In addition to the 2045 target, SB 100 would also require electric utilities and other service providers to generate 60% of their power from renewable sources by 2030, up from the current 50% goal set for that date. CHAPTERED The Governor’s signing message for SB 100 can be found here. FBA has been engaging in several labor legislative issues this year working with coalitions to oppose many and support a few such as PAGA reform. AB 2841 (Gonzalez-Fletcher) would have mandated an increase in paid sick leave from 3 to 5 days per employee per year. The bill faced incredible opposition from the business community and ultimately died in Assembly Appropriations. AB 3080 (Gonzalez-Fletcher) would have significantly expanded employment litigation and increased costs for employers and employees by banning settlement agreements for labor and employment claims as well as arbitration agreements made as a condition of employment. The bill died in Assembly Appropriations. SB 1284 (Jackson) would have required California employers to submit pay data to the Department of Industrial Relations, subjecting employers to unfair public criticism, enforcement measures, and significant litigation costs. The bill died in Assembly Appropriations. SB 1300 (Jackson) would significantly increase litigation by substantially lowering the standard for what constitutes standing to sue an employer for harassment or discrimination from “severe or pervasive” to “makes it more difficult to do the job.” This bill also bans the use of non-disparagement agreements and attempts to limit the ability to summarily adjudicate harassment claims forcing employment practices claims into court or costly settlements. These claims are very expensive to investigate and defend, even if there was no actual wrongdoing by the employer. The scope of this bill was significantly narrowed in the Assembly Appropriations Committee by removing language requiring employers to provide sexual harassment training, including bystander intervention training, as well as eliminating language that individuals could sue employers without having endured harassment or discrimination. The bill is on the Governor’s desk awaiting signature. AB 2613 (Reyes) would have imposed another layer of Labor Code penalties for wage and hour violations in addition to the penalties already available under PAGA and imposed personal liability onto employees. Due to strong opposition, the author never brought the bill up for a vote. Tax policy continues to be a leading issue for FBA and area of major discussion at the Capitol. FBA led the fight against the estate tax earlier this year and maintained the fight on the measures that continued to receive attention all session. SB 993 (Hertzberg) was another attempt to shift to a tax on services. The measure would have expanded the sales and use tax law to impose a tax on the purchase of services by businesses in California. The bill would have exempted certain types of services, including health care services, from the tax. In a twist over his previous legislation, Hertzberg directed the funds to be appropriated to provide tax relief to middle-income and low-income Californians. The bill was never brought up for a vote. Informational hearings were scheduled instead to research the issue further but never took place. SCA 24 (Galgiani) would have created financial hardships for family businesses and farms that could have resulted in liquidation of the business and loss of jobs for the employees. SCA 24 would have limited the exclusion not deemed to be a “purchase” or “change in ownership” for the purchase or transfer of a principal residence from parents or grandparents to their children, and would have required it to continue as a principal residence of the transferee. The measure also would have deleted the exemption on the first $1 million of the full cash value of all other real property, including family businesses and farms, thereby requiring these properties to be reassessed upon a transfer to a child or grandchild. The bill was never voted on. Water Tax Fails. Governor Brown tried and failed to secure a deal to provide safe drinking water funding for disadvantaged communities in California. After failing to win approval of a mandatory tax on water bills earlier this year, Senator Monning introduced SB 844and SB 845 in the last two weeks of the session that would have applied a voluntary levy on ratepayers of less than $1 per month and would have established a tax on dairies and fertilizer manufacturers. 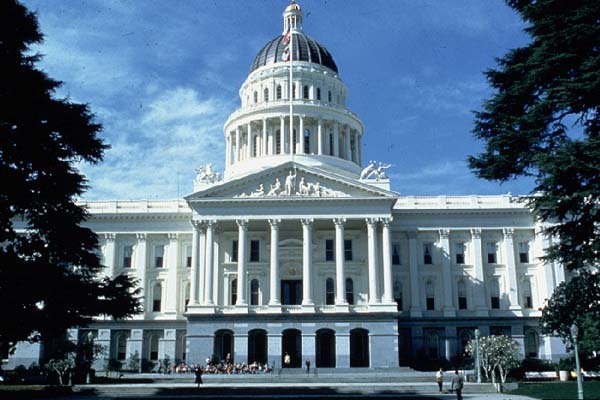 The bills were held in the Appropriations Committee but Assembly Speaker Rendon released a statement saying that they will work on this issue over the fall and be prepared to discuss the issue during the next legislative session. The Legislature has adjourned for a month long summer recess and will return on August 6th for the final four weeks of this legislative year. A month “off of work” is hardly the summer dream it sounds like. All statewide offices, Assembly seats and half of the Senate is up for election in November and the summer will be spent shaking hands, kissing babies, and negotiating the final compromises on the remaining 1,800 bills that can be voted on prior to the August 31 Final Recess. The Assembly remains under the leadership of Speaker Anthony Rendon and the Senate is being captained by former Assembly Speaker turned President Pro Tem Toni Atkins, who recently replaced Kevin de León. After the special elections in June, both leaders enjoy near-supermajorities in their houses, with the Senate one Democrat short after the recall of Josh Newman. This ensures relative ease of passage for leadership priorities that require a simple majority vote. However, there remains a small handful of bills that would need to garner a two-thirds majority vote. Chief among those bills are tax measures SB 993 and SB 623. Earlier this year, FBA legislative advocates and a coalition of employer groups were successful in temporarily stopping a huge tax increase proposed in SB 993 (Hertzberg). This bill would impose a tax on all services purchased by California businesses with gross receipts of more than $100,000 a year with limited exceptions. FBA Treasurer/Secretary Grant Deary provided key testimony in the Senate Governance and Finance Committee on the significant competitive disadvantage this would force on family business employers at a time when we should be providing incentives for family businesses to continue to create jobs and invest in California. This bill was held in the committee but the fight continues as an informational hearing to discuss imposing taxes on services used by businesses has been scheduled for August 8. This hearing is intended to provide a broad overview of our existing tax structure as well as discuss concerns with implementing and administering a tax on services. As an informational hearing, the committee does NOT plan to vote on SB 993 on August 8. Additional informational hearings may be scheduled during the legislative recess in Northern and Southern California. We will keep members apprised of related developments and will continue to lead efforts to stop this tax increase of tens of billions of dollars a year which would hurt working families by causing less economic growth, lower wages, and fewer jobs. The other bill we’re keeping a close eye on is SB 623 (Monning), which would provide a monthly assessment on every water user in California. The legislation would create the Safe Drinking Water Account to provide grants and loans to water entities located in disadvantaged communities to clean up contaminated groundwater. The assessment would be $10 a year for residential customers and would not exceed $12 a month on commercial and industrial customers. The bill also would includes an assessment on fertilizer and animal agriculture to address nitrate contamination but provides agricultural interests participating in the program a safe harbor from enforcement by the Water Resources Control Board. Many in agriculture are supporting the assessment due to aggressive enforcement actions being implemented by the current Water Board but many water districts oppose it because of the cost. Apart from the spirited farewell speech from former Senator Josh Newman, who was recalled in the primary election last week, the days of vigorous debate and floor fights appear to be over in the deep blue California Legislature. Of the hundreds of bills that reached the Senate and Assembly Floors for the House of Origin deadline on June 1, only 16 bills in total were not passed. Five bills were held in the Senate and 11 in the Assembly. However, among the handful of bills that were defeated, we are pleased to report that as a part of an employer coalition, FBA advocates were able to stop several bills that would have been horrible for family businesses. Among them was AB 2613 (Reyes) that would have imposed Labor Code penalties for wage statement violations in addition to the penalties already available under the Private Attorney General Act (PAGA), regardless of whether or not the violation was intentional. Also defeated by the coalition was AB 2946 (Kalra), which would have extended from six months to three years the time a worker would have to allege they have been discharged or otherwise discriminated against and file a complaint with the Division of Labor Standards Enforcement. Furthermore, the bill would require a one-sided plaintiff attorney’s fee provision that would have incentivized further frivolous litigation against California employers. These successes build on earlier accomplishments when several bills opposed by FBA were held in committee. Most notably, SB 993 (Hertzberg), which would place a sales tax on services, was held in committee without a vote. FBA Treasurer/Secretary Grant Deary testified in opposition last month. There will be a series of hearings on the bill and the concept of imposing sales taxes on services later in the year. Of the bills that did pass through to the second house, a priority bill for FBA to significantly amend or kill is AB 1867 (Reyes), which is set to be heard in the Senate Labor & Industrial Relations Committee in a few days. For employers with more than 50 employees, this bill would more than triple the current requirement for keeping employee personnel documents relating to harassment complaints by extending the retention requirement to 10 years. This will overburden employers who are already inundated with contradictory and confusing retention requirements. Not only is AB 1867 burdensome, but also it is unclear because the term “complaint” is not defined. Is the employer required to document that discussion and retain it for 10 years? Without clarifying language, AB 1867 leaves employers guessing as to what is exactly required of them. Workforce development has been a priority for FBA and the first half of the session provided several wins. The budget, which will be passed later this week, includes $314 million for Career Technical Education and workforce development. In a major policy shift to make these programs better aligned with industry and career focused, half the funds will be allocated to K-12 education but distributed through the Community Colleges Workforce Development system. The other half will be allocated through the Incentive Grant System at Department of Education. The remining $14 million will be used to hire and coordinate with industry professionals to better align the instruction statewide. In addition, AB 1743 (O’Donnell) has obtained bipartisan support to reform the Career Technical Education Incentive Grant program. FBA has been integral in both of these actions and will be finalizing their success later this year.